Mining industry? As far as job is concern, yes that will really help. But I think it will just ruin our nature in the future. 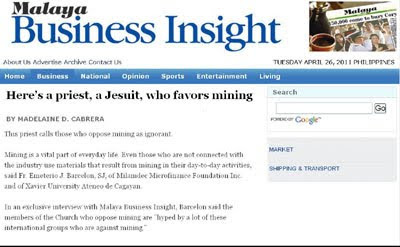 And who owns the mining and will benefit more? Foreigner.I think that's a big issue to talk about so I'll stop here. I hope the government will make good decision for the sake of everybody.